Col. Robert Gould Shaw was the commander of the all black 54th Massachusetts Volunteer Infantry during the Civil War. He was killed in the Second Battle of Fort Wagner on Morris Island in Charleston Harbor. He was the principal subject of the 1989 film Glory in which he was depicted by actor Matthew Broderick. 1 Breck, Samuel, Genealogy of the Breck Family Descended from Edward of Dorchester and His Brothers in America, Omaha: Rees Printing Company (1889), 34-35, Internet Archive (Digital Library). 2 Hampton, Vernon B., Staten Island's Claim to Fame: The Garden Spot of New York Harbor, Staten Island, New York: Richmond Borough Publishing and Printing Company (1925), 166, Heritage Quest (Digital Library). 3 Roberts, Gary Boyd, Notable Kin, Volume 1 , Santa Clarita, California: Carl Boyer, 3rd (1998), 220, 224. 4 Sturgis, Francis Shaw, The Descendants of Nath'l Russell Sturgis: With a Brief Introductory Sketch of His Ancestors in England and . . ., Boston: Printed by G. H. Ellis (1925), 5, Heritage Quest (Digital Library). 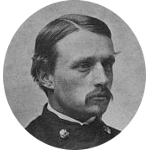 5 Wikipedia, "Robert Gould Shaw", (accessed 09/18/2014). 6 Wikipedia, "Second Battle of Fort Wagner", (accessedd 09/18/2014).